Children would want to go to school on Sundays if it involved Minecraft! 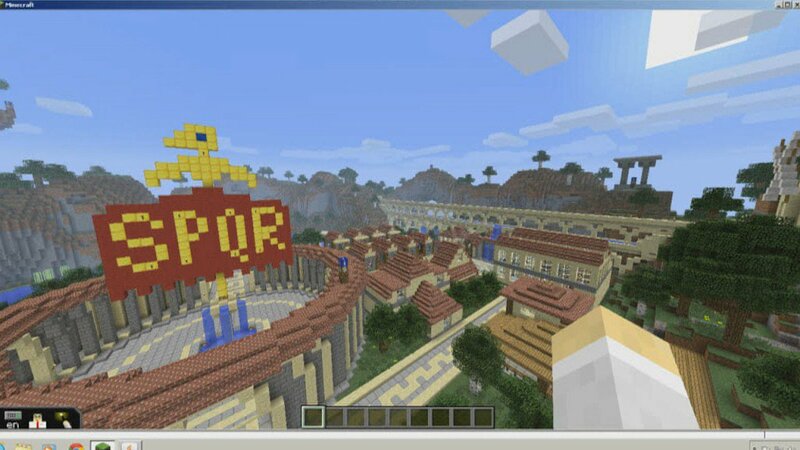 In this blog, Marco Vigelini, IT professional and volunteer at Coderdojo Allumiere, explains how Minecraft has revolutionized classrooms in Italy. Every time I speak about the digital literacy projects I lead, I often begin by telling people how “old” and “new” technologies easily go together, and how valuable digital devices are in the hands of our teachers. I describe in detail how children’s eyes get brighter and they are more curious when they experience science, technology, engineering, art, and mathematics with their own hands. Especially when “tinkering”, or performing practical tasks on a laptop such as creating short lines of code, or attaching instruction blocks to animate and give life to digital characters. I finish by describing the results of using Minecraft alongside traditional teaching methods. Not only do students learn the principles of mathematics or (for example) history, they also acquire diagonal skills such as creativity, problem solving, and the ability to work in a team. My message is that regardless of the instrument employed, the important thing is to unleash a child’s curiosity and to engage the whole class as much as possible. At this point I am usually asked one of two questions by a wide-eyed audience member: “Minecraft? What’s that!?! ?” or “Minecraft? Really!?! ?”, generally followed by: “You know, my son also…”. This is where the observation I used as introduction to my speech at Microsoft’s Edu Day comes from. It is reported in recent studies (here), that within 5 years Europe will need around 900 thousand IT professionals, so we must act promptly to teach IT to the new generation. We also need to increase female participation in science, engineering and technology. It should not be possible that just 10% of engineers are women. We have enjoyed bringing Minecraft to schools because it’s universally recognized as a gender-inclusive game, which can engage and excite boys and girls alike. Minecraft is very creative: it stimulates the parts of the brain that question how things are built, as well as the intellective functions that are employed when creating. However, instead of “limiting” oneself to building a Star Wars spacecraft as with traditional building blocks, children can build entire planets. There is no limit to what children can build in Minecraft: the only limit is imagination itself. For teachers who are interested in introducing Minecraft to their classrooms, we are preparing a series of tutorials that range from setting up the clients and the servers, to mastering basic commands. This includes exploring the basic Tutorial world right through to navigating the most complex ones where commands are given to robot turtles. 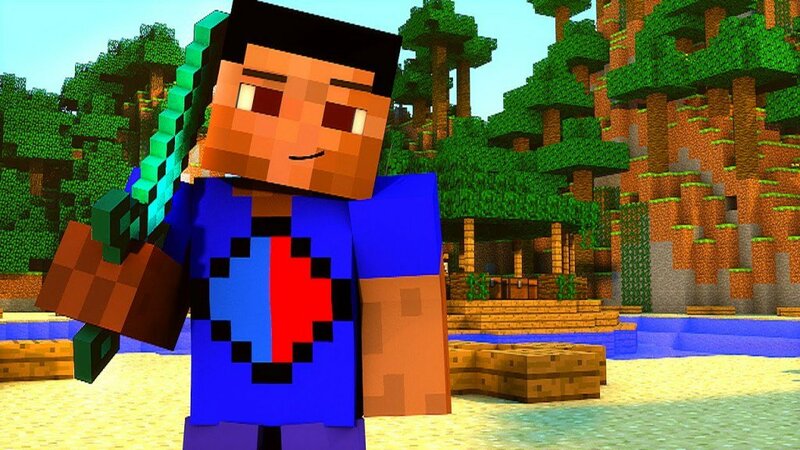 We’ll also guide you through how to configure certain Minecraft mods to allow (in this case for high school) students to make Steve interact with the surrounding pixel world by sending him python commands. Here you’ll find the YouTube channel with the first videos of the Tutorial world that comes with the MinecraftEDU version of Minecraft. “Number” type blocks in Minecraft can be used to create math lessons allowing students to practice addition, subtraction, multiplication, and divisions. Or students can solve problems along the lines of: “Build a house with four walls. If there are two windows on each wall, how many windows does the house have?” As far as geometry is concerned, placement of blocks allows students to visualize the concept of perimeters, area and even to calculate volume. You can, for instance, blend physical and virtual worlds by asking students to measure the size of their classroom (rounding to the closest integer, as each Minecraft block equals a cubic meter). Once these measurements have been taken and noted, the students can recreate their classroom in Minecraft, cooperating in couples by distributing only half of the necessary blocks to each person. As soon as the construction of the classroom is finished, students can express the concept of volume in the most simple and precise manner possible. Guaranteed. Minecraft also allows the user to program small robot turtles that loyally execute the instructions they are given. You want to build small stone towers 10 block high? Why not create a simple set of instructions to deliver to the turtle: dear turtle, place the stone, go up one block and repeat this activity 10 times. There’s short example video (here / in Italian) with a simple explanation of how easy it is to apply programming logic through the Minecraft tool. The entire class can have a virtual journey back in time and find itself inside the Colosseum, accurately reconstructed to see gladiators train. By walking along the roads of the Roman Empire they can interact with patricians, plebeians, or have a quick chat with the slaves (who incidentally claim to be much better educated than their owners as they come from Ancient Greek cities). In the villas they can meet Emperor Gaius Julius Caesar, and even a knife-wielding guy who goes around claiming he must safeguard the Roman Republic. We realized, as hoped, that by using Minecraft as teaching tool, the level of focus in the classroom rises significantly and for a long time. When we finish the sessions in which we use the Minecraft tool, students cannot stop talking about the lesson. The corridors are full of discussions about what they have discovered. They listen carefully to their classmates and, if necessary, ask for detailed explanations of what they missed. Find it hard to believe? This is what really happens when Minecraft is introduced to schools. The article has been originally published (in Italian) here. Be sure to create a free account and save upload all the amazing Minecraft creations your students create! As the promoter of CoderDojo's free programming workshops in Italy, Marco has introduced a number of projects involving "creative computing" and tinkering in primary school classes. Since last year he has been using Minecraft as a tool to support teaching.